Petrol price in KOZHIKODE today, Diesel price in KOZHIKODE today. Petrol price in KOZHIKODE today is 75.19 Rs/ltr. 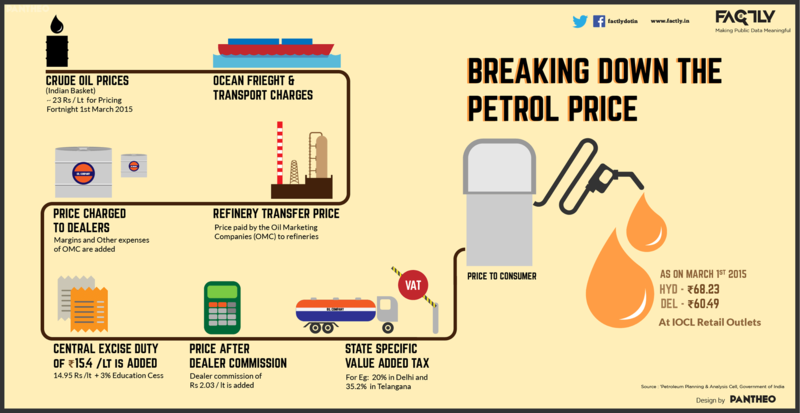 Petrol price has increased 0.25 Rs/ltr since 17th Mar when it was 74.94 Rs/ltr. Diesel price in KOZHIKODE today is 70.34 Rs/ltr. 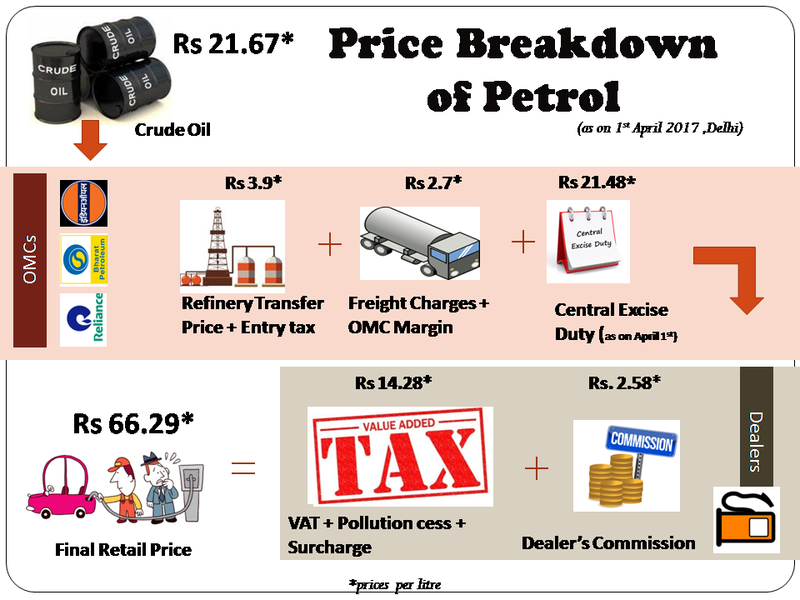 Diesel price has decreased 0.75 Rs/ltr since 17th Mar when it was 71.09 Rs/ltr. Here's a map with pump locations in KOZHIKODE. Click on a marker to check prices and get directions link. INDIAN OIL DEALER MAVOOR ROAD KOZHIKODE KOZHIKODE DIST. INDIAN OIL DEALER THAMARASSERY ROAD OMASSERY KOZHIKODE DIST. INDIAN OIL DEALER PUDUPPADI ADIVARAM KOZHIKODE DIST. INDIAN OIL DEALER MUKKAM KARASSERY POST KOZHIKODE DIST. INDIAN OIL DEALER KODUVALLY KOZHIKODE DIST. INDIAN OIL DEALER THIKKODI KOZHIKODE DIST. INDIAN OIL DEALER WAYANAD ROAD KUTTIADI KOZHIKODE DIST. INDIAN OIL DEALER KOZHIKODE ROAD RAMANATTUKARA KOZHIKODE DIST. INDIAN OIL DEALER WYNAD ROAD THAMARASSERY KOZHIKODE DIST. INDIAN OIL DEALER BEYPORE HARBOUR KOZHIKODE DIST. INDIAN OIL DEALER CHAKKORATHUKULAM KOZHIKODE KOZHIKODE DIST. INDIAN OIL DEALER NEAR BUS STAND QUILANDY KOZHIKODE DIST. THE SECRETARY PUTHIYAPPA KOZHIKODE DIST. INDIAN OIL DEALER KARIMPANAPPALAM BADAGARA KOZHIKODE DIST. INDIAN OIL DEALER MATTUNGAL WEST BADAGARA KOZHIKODE DIST. INDIAN OIL DEALER PAVMANI ROAD KOZHIKODE KOZHIKODE DIST. INDIAN OIL DEALER NADAPURAM ROAD ORAKKATERI KOZHIKODE DIST. INDIAN OIL DEALER KARANTHUR KUNNAMANGALAM KOZHIKODE DIST. INDIAN OIL DEALER NH-17 PAYYOLI KOZHIKODE DIST. INDIAN OIL DEALER NH - 17 QUILANDY KOZHIKODE DIST. INDIAN OIL DEALER MANNASSERY PO KATTANGAL KOZHIKODE DIST. INDIAN OIL DEALER NARIKUNI-POONOOR RD ELETTIL PO KOZHIKODE DIST. INDIAN OIL DEALER KAKKODI MUKKU KAKKODI KOZHIKODE DIST. INDIAN OIL DEALER NH -17 MELUR QUILANDY KOZHIKODE DIST. INDIAN OIL DEALER MINI BY PASS MANKAVU KOZHIKODE DIST. INDIAN OIL DEALER AVUDUKKA PO PANTHIRIKKARA KOZHIKODE DIST. INDIAN OIL DEALER PUTHIYAPPA KOZHIKODE DIST. INDIAN OIL DEALER FEROKE PO CHERUVANNUR KOZHIKODE DIST. INDIAN OIL DEALER NH - 17 CHEMENCHERY KOZHIKODE DIST. INDIAN OIL DEALER EKAROOL(PO)ESTATE MUKKU. KOZHIKODE DIST. INDIAN OIL DEALER NADAPURAM-KAKATTIL ROAD KALLACHI KOZHIKODE DIST. INDIAN OIL DEALER KOTTAKADAVU KOZHIKODE DIST. INDIAN OIL DEALER NARAYANANAGAR VADAKARA KOZHIKODE DIST. INDIAN OIL DEALER VIA VADAKARA THIRUVALLUR PO KOZHIKODE DIST. INDIAN OIL DEALER PO VATTOLI BAZAR BALUSSERY KOZHIKODE DIST. INDIAN OIL DEALER ATHOLI KOZHIKODE DIST. INDIAN OIL DEALER OMASSERY ROAD THIRUVAMBADY KOZHIKODE DIST. INDIAN OIL DEALER PERAMBRA ROAD KOORACHUNDU KOZHIKODE DIST. C/O Mrs. K.RASHI VADAKARA-KUTTIYADI RD VILLIAPALLY KOZHIKODE DIST. C/O. FAIZAL.R.M KUTTIYADI ROAD PERAMBRA KOZHIKODE DIST. C/O Mrs. A.Beena PERAMBRA ROAD KAKKATTIL KOZHIKODE DIST. C/O T.C.MANOJAN PAYYOLI-PERAMBRA ROAD MEPPAYUR KOZHIKODE DIST. C/O T.FOUMIDA KUTTIYADI-WAYNAD RD THOTTILPALAM KOZHIKODE DIST. C/O T.V.Mohammed BALUSSERY ROAD CHELANNUR KOZHIKODE DIST. INDIAN OIL DEALER CHATHAMANGALAM KOZHIKODE DIST. INDIAN OIL DEALER PARAKKADAVU ROAD THUNERI POST KOZHIKODE DIST. INDIAN OIL DEALER KONOT PO PARAMBIL BAZAR KOZHIKODE DIST. INDIAN OIL DEALER PARAPPANPOYIL PO THAMARASSERY KOZHIKODE DIST. INDIAN OIL DEALER KODUVALLY (MANIPURAM ROAD) KOZHIKODE DIST. INDIAN OIL DEALER PONMERI (VIA) AYENCHERRY KOZHIKODE DIST. INDIAN OIL DEALER AVIDANALLURKOORACHUNDUKOOTTALIDA KOZHIKODE DIST. INDIAN OIL DEALER NANMINDA-BALUSSERY RD NANMINDA KOZHIKODE DIST. INDIAN OIL DEALER PERUMANNA POST KOZHIKODE DIST. INDIAN OIL DEALER KOZHIKODE ROAD NARIKKUNI KOZHIKODE DIST. INDIAN OIL DEALER NALLURE FEROKE (PO) KOZHIKODE DIST. INDIAN OIL DEALER NEAR BUS STAND KOODARANHI KOZHIKODE DIST. INDIAN OIL DEALER KALLACHI VIA VILANGAD PO KOZHIKODE DIST. INDIAN OIL DEALER VALAYAM-CHUZHALI RD VALAYAM KOZHIKODE DIST. INDIAN OIL DEALER VELLIPARAMBA(PO) MAVOOR ROAD KOZHIKODE DIST. INDIAN OIL DEALER PAROPPADI MERIKUNNU(PO) KOZHIKODE DIST. INDIAN OIL DEALER NH-BYPASS PANTHEEERANKAV KOZHIKODE DIST.